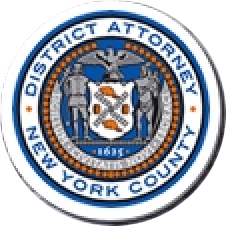 Manhattan District Attorney Cyrus R. Vance, Jr., today announced the trial conviction of SHAUN DYER, 49, for fatally beating his roommate, 47-year-old David Shahda, in their Upper East Side apartment in October 2011. The defendant was found guilty by a jury in New York State Supreme Court of the sole count in the indictment against him, Murder in the Second Degree. DYER is expected to be sentenced on November 13, 2014. As proven at trial, beginning in late summer 2011, DYER and Shahda lived together in an Upper East Side apartment. On the morning of October 13, 2011, the day that DYER was scheduled to be evicted for unpaid rent, DYER attacked Shahda following a loud argument, striking him repeatedly with a metal pipe. DYER also commanded his dog, a large Bullmastiff, to attack Shahda. With the victim lying dead nearby, DYER threw the metal pipe out of the apartment window, bagged his bloody clothes and other items from the crime scene, and left the apartment to dispose of them in a nearby alley. DYER returned to the building after being called back to assist a City Marshall, who had arrived as scheduled to evict him. Feigning ignorance of the murder, DYER opened his apartment door for the City Marshall, who saw the victim and immediately called for police assistance. Assistant District Attorneys Michele Bayer and Alyssa Gunther handled the prosecution of this case, under the supervision of Assistant District Attorney William Mahoney, Chief of Trial Bureau 60; Executive Assistant District Attorney John Irwin, Chief of the Trial Division; and Chief Assistant District Attorney Karen Friedman Agnifilo.